Four young teens in Toledo, Ohio, have been charged with murder after they allegedly threw a construction sandbag from a freeway overpass and killed a passenger in a car. The three 14-year-olds and one 13-year-old threw multiple sandbags and other objects onto the southbound lane of Interstate 75 on Dec. 19, according to CNN. One of those sandbags crashed through the windshield of the car 22-year-old Marquise Byrd of Warren, Mich., was riding in. Byrd, who received severe head injuries in the incident, died Friday from his injuries, according to the Detroit Free Press. The four teens were charged Dec. 20 with felonious assault, but on Wednesday they were arraigned on charges of murder and vehicular vandalism. 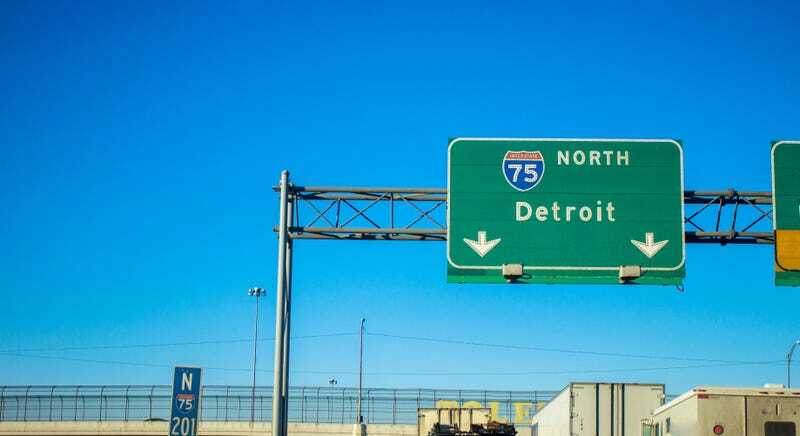 According to WXYZ Detroit, police officers saw the boys leaving the area of the overpass after the vehicle Byrd was riding in was struck. Detectives deemed the falling sandbag a deliberate act, and probable cause to charge the four juveniles was established. In addition, an assistant county prosecutor told the Free Press that other vehicles were struck by objects thrown from that overpass as well. Lori Olender, deputy chief of the juvenile division of the Lucas County Prosecutor’s Office, said that all four boys denied the charges against them. Read more at the Detroit Free Press and WXYZ Detroit.